Craig Lent has appointed Bob Magill as the new principal branch coordinator for the northern Virginia branch. Bob will begin a six-year term on February 8, 2015. He follows Lek Kadeli, who has served for two consecutive six-year terms. "I'm impressed by Bob's generosity of spirit in accepting such a large responsibility," says Craig. "I'm confident his energy, humility and leadership skills will be a great benefit to the branch." Bob, 51, grew up in the Pittsburgh area. He joined the People of Praise while a student at the University of Notre Dame, where he received his B.S. in mathematics in 1985. Bob worked in industry for several years and earned his M.S. in electrical engineering at Notre Dame in 1991. He earned his Ph.D. at Notre Dame in 2003. Bob served as coordinator of the campus division in the South Bend branch from 1991 to 1996. Bob and Laurie (Tychsen) were married in 1990. They have five children: Jacqueline, 23, David, 21, Andre, 19, Stephen,16, and Robbie, 14. Jacqueline is underway in the northern Virginia branch and Andre is underway in the South Bend branch. In 2003, the Magills moved from South Bend to northern Virginia. Bob worked first for the federal government, then in the private sector, and started his own consulting firm, Magill Technology Development, five years ago. His clients are contractors who work primarily with government data networks. 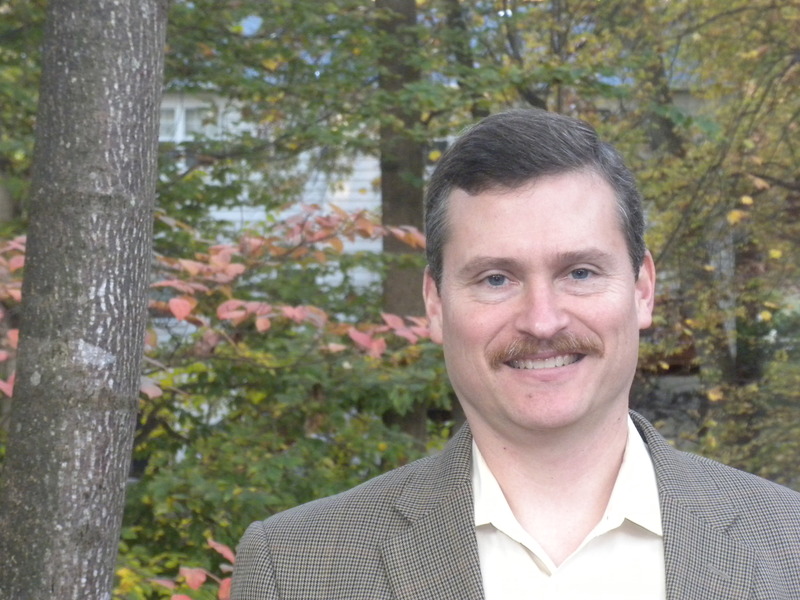 Bob is currently serving a second term as area coordinator in northern Virginia. He is also a tenured coordinator and serves on the Trinity School board of trustees. Craig expressed his gratitude for Lek's service: "Lek has laid down his life for his brothers and sisters in northern Virginia, serving them well through his leadership these last 12 years. I appreciate all of his sacrifice and hard work, and the sacrifices of his wife, Ellen, along with those of their children." Congratulations on your appointment Bob, I know that the branch is in good hands. This is very exciting news!!!! Praise God for Lek, all his love and service, and for Bob who is willing to do the same!!!! Thank for Bob for being willing to serve. Thank you Lek for your years of wonderful service. We look forward to having you lead the NoVA branch. Be assured of our prayerful support. Very good news. God bless your family and willingness to serve. Bob and Laurie Magill--what a team! Bob, I look foward to supporting you as you lead us forward in the Northern Va Branch-Lek, Ellen and the other coordinators and families, thank you for your generous service to our Branch. Glory! So exciting to see the Lord working in our POP life! Bob, thank you for your willingness to serve us all. Blessings from the Buffalo branch. It was a pleasure seeing you at the combined area meeting this summer and at Joe Ridenour reception in September. May the Lord bless you and your family as you serve Him as PBC. Congratulations! We will be praying for you in your next new adventures. God be with you and bless your generosity. God Bless all ya'll in NOVA and especially the Magill and Kadeli families - I sure am glad we are in this together! Onward with our King Jesus! Bob and Laurie. Thanks for saying yes to the Lord. So glad to know that God is providing for our future with gifted leaders! Thank you for saying yes, Bob! Bob and Laurie, may the Lord bless you for this commitment of generosity shown to all of us, especially the brothers and sisters in the NOVA branch. You will be in our prayers daily.